Well… I must say… Im happily overwhelmed by all the emails and messages Ive gotten from those who have read the first post. I very grateful for your thoughts and feedback. It means so much As far as the comments below… I think you have to create a basic profile at blogger.com and then you can post comments from now on. Or if you have an AIM or a live journal account.. you can use your username from one of those to sign in and post a comment. Look below for the little box to click on to pick your format. Last Spring I had gone to see my friend Darlyne for a reading.. (Incredible intuitive counselor that saved my sanity many a time!! She’s located in Reading at magicofbelieving.com). She was seeing very tall and some small celestial beings around me.. some in white robes with hoods, and others that she could only say were very high up and evolved… lots of angels.. She had asked if I’d ever had an aura picture taken. I hadn’t but was intrigued by the thought… so I went home.. got online and looked up how to go about doing this. I found a place in Salem called (of all things) Angels landing. It took me a while to actually get there but I was interested in some classes they had and learning all I could about angels.. healing.. readings.. you name it. Energy healing was the biggest thought on my mind though. Darlyne told me last time I was there that she could be completely drained from her intuitive work, but 10 minutes with me and she could go another 10 hrs.!! I thought that was pretty cool. Eventually I got to Angels Landing and was taken out back for this aura picture. It was done with special equipment and along with the picture, they gave me full information to describe the picture and what the colors meant. The girl taking the picture had such a big smile on her face after she took it… and I asked what was up… she said I was surrounded by angelic energy. And the picture showed just that. My entire left side was covered in pure white energy, as was above my head where the crown chakra is (This connects us to all that is above). My right side was a mix of pure white and violet pink.. also angelic energy. I remember when I was sitting there I could feel the energy fill my head… my head was swimming. I knew the angels were with me. The picture only confirmed what I felt. I will try to post that pic here if I can figure out how. The report was amazing… My energy was strong & positive. It went into detail about the other colors in my body but they all said the same thing. My root chakra was a tad weak though…. what this means is that Im not as grounded as I should be. And with energy like that flowing through my head as strongly as it was… I was fully aware of this. Its not a bad thing unless you’re driving… I can’t tell you how many stop signs and red lights I have NOT seen recently! Im working on this!! After this picture, I decided to have the lady that was there read me. I was curious… what can I say? Her name is Mary D’Alba. She has become a dear friend!! I cannot tell you how much she has helped me in my life… in understanding my life purpose… trusting in my own intuition… guiding me when I was lost… She has been a god send. The picture I went there for means very little in comparison to the friendship I gained by going. She is an amazing person and such a ray of sunshine! If you ever want honest guidance in any area of your life… you can find her at SpiritualityGirl.com. Going to Angels Landing is the first part in a string of syncronicities that lead me to where I am in this moment in time. I had talked to Mary at length about going to attend a workshop given by Doreen Virtue. It was an Angel Therapy Practitioner Workshop and certification. Only it was in Colorado. The cost wasn’t cheap to pay for the workshop, airfare, hotel, food, etc. But still I knew I wanted to learn how to work with Angelic energy. As time went on, I started to wonder if some of the people who have been certified by Doreen worked near where I live. So I did a search. I found quite a few. One I talked to was ok but she just did not resonate with me. Then I talked to Mary again and she mentioned a woman in Nashua NH that was certified by Doreen and taught the same classes and then some. Her name is Elizabeth Foley. I called her and immediately resonated with her. She told me to ask for a sign as to which class to take but I already had an instant knowing. I asked for the sign anyway, but I’ve found over time that when I get that “knowing” in my brain… they wont give me a sign because I already have my answer. Elizabeth owns Divinehealing.us. We talked quite a bit and she beamed with passion about her classes and what she teaches. It was exactly what I had been looking for. Elizabeth is a ray of sunshine and touches the heart of everyone she shares her gifts with. 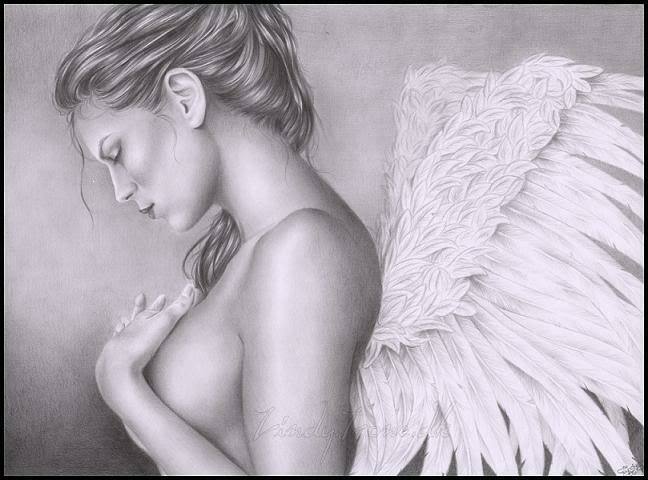 If you want to know about Angels.. she’s the gal to go to! I had been working the summer session in our deaf and hard of hearing program and talking to my friends about this. I was very excited. The session ended and we had 2 weeks off before School would start for the Fall. Now working in education doesn’t pay alot… but I loved my job!! Even still… I had been trying to figure out how to earn extra income because my pay just wasn’t cutting it. As much as I thought about this.. I did nothing to actually deal with it. Then right before school was to start I got a phone call from the director and my world collapsed. I lost my job. That morning I cried hard… I went from worrying about not having enough to not having anything at all. But by afternoon of that day… I felt complete peace. It was the oddest feeling. I wasn’t worried at all. And I realized that something better was out there wanting me. It was like… I knew I had to deal with finances but I wasn’t doing it… so the universe took it in their hands and left me with no choice but to deal with it. At first I thought I had to find a job right away… but everything I looked at needed certifications I didn’t have. It was strange.. Here I was with 2 bachelors degrees, and half a masters in Deaf Ed.. and couldn’t get a job because of lack of the right kind of education or certification. To this day I dont know how this came about or where it came from… but I found myself looking into Polarity Energy therapy. I knew I had been learning about energy therapies and wanting to work with it.. but no clue how. Now Im looking at Polarity and thinking.. wow.. this is incredible! I went for a session to feel the energy and see if this is what I wanted to do. The session was good.. I knew it worked as I felt completely balanced when I left.. only it was lacking something… I decided to look into the program anyway… as I really liked how it balances the energetic systems of the body and in doing so keeps the body healthy and free from illness, stress, anxiety, add, adhd, and other common problems. At this point I knew I wasn’t going to do Doreen Virtues class in Colorado… No money coming in.. ha ha But I knew I could get the same training from Elizabeth in NH for 1/10 the price! I signed up for that workshop and went in September. (yup, just a few weeks ago). It was incredible… I immediately knew what the polarity was lacking! I also knew that I could integrate the two and bring the meaning to it that it needed. I will describe the workshop shortly. The next part of the syncronicity string was this… I talked to Elizabeth at length about Polarity, but that it was lacking… and how could I integrate what I needed into it to make it more powerful and meaningful for those who would come to see me. Elizabeth told me about a woman (Michelle McCarthy) that teaches Integrated Energy Therapy (IET). 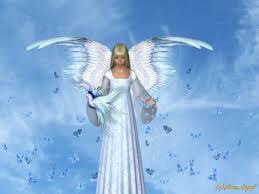 This is an energetic therapy that accesses the angelic realm to balance and heal the body. While I could do just this therapy in practice… I had no idea how to get started… and Polarity gives me what I need in that regard. Through this program.. I will learn everything I need, plus get clinical experience, and graduate with confidence in my ability, as well as a head start. While Im going to study Polarity, I will also become certified in RYSE, IET, and advanced Angel Healing Practitioner. When Im done, I will integrate all I’ve learned so that whomever I work with will feel the touch of the angels and walk away lighter, healthier, and happier. That is my goal anyway. I have met and remet so many new friends since I started on this path… and they say that as your vibrational level changes in your body… some people and things you once were very connected to will fall away and new ones will come in that match more closely. I guess that can be said with any kind of personal growth. I find that when one thinks positively and stays in that mode of thinking no matter what hits them… the negative people and things that once gravitated toward them, now stay away. It’s like the law of attraction.. like attracts like. I’ve learned that when you keep your focus positive, positive people and situations come to you. The same goes with negativity… have you ever found that when your day starts off badly whether it be to go out to your car and find a flat.. or losing your cell phone.. whatever the thing is that plummets your mood, the whole day goes downhill, one thing after another, and it all seems to go in the toilet? But if you can take that very moment when the bad mood hits you and take a deep breath and tell yourself it’s only a flat… the phone WILL show up… and it’s going to be a great day… things turn around almost immediately. The power of the mind is a wonderful thing We often get caught up in that negative spin, and our egos love that!! They thrive on it. But when I feel that bad feeling start in my gut.. I imagine taking my dark self (the ego) and locking it up in a closet with 5 deadbolts. Then I feel a peace within me. I never let that part of me take over anymore. Well almost never… I am human! The more positive your keep your thoughts, the less chance of any negativity wiggling it’s way in.